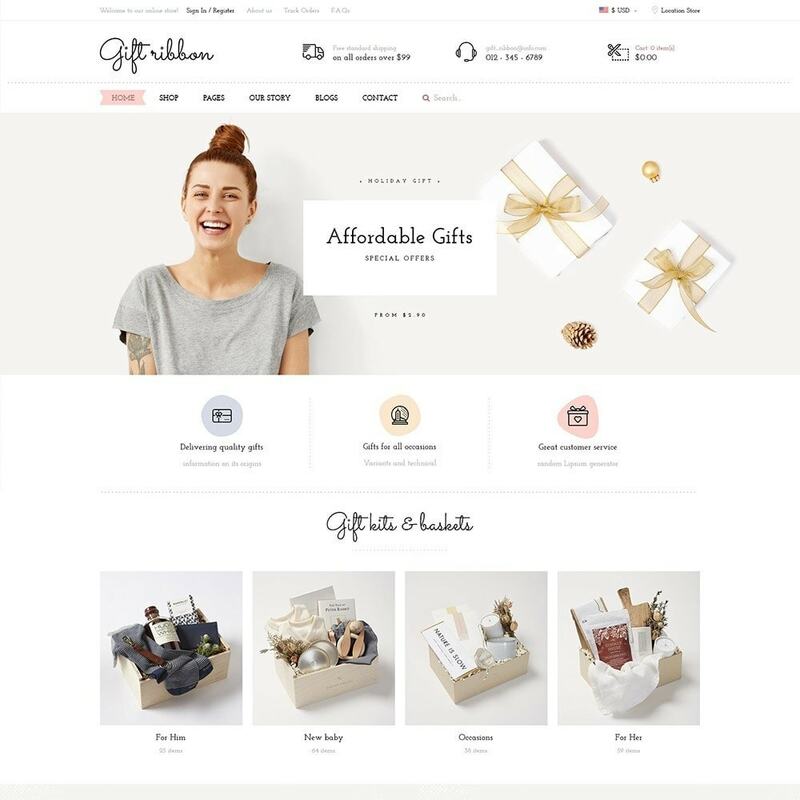 Gift Ribbon - an Excellent, Clean, Minimal Prestashop Themes 1.7 – an excellent Template for a modern Accessory and Minimal Store. 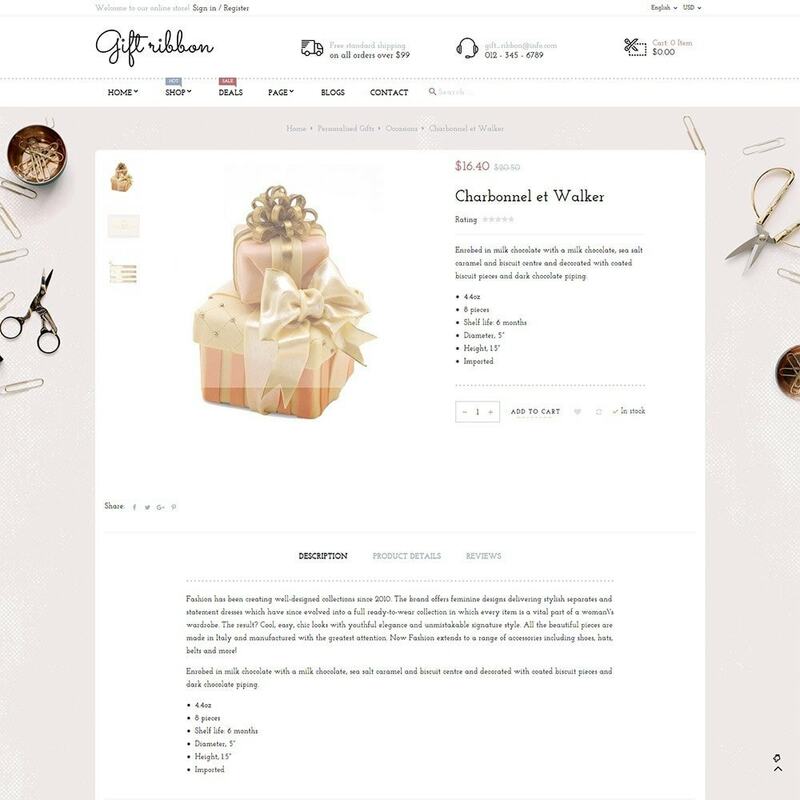 Gift Ribbon will meet & fit any kind of eCommerce sites as you imagine. 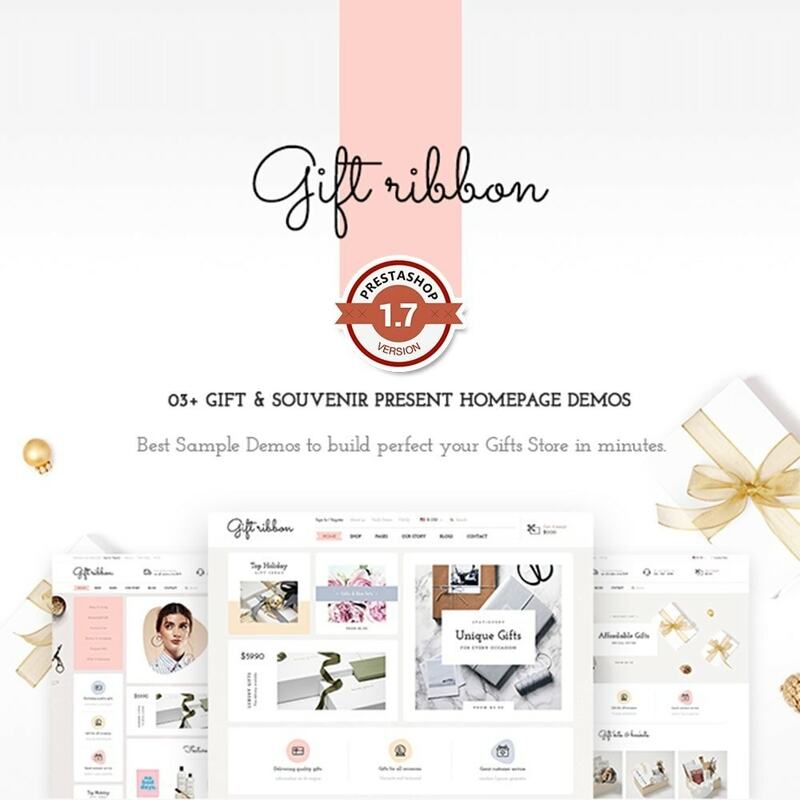 03+ Premade Homepage DemosBest Gift & Accessories Demos Samples to build perfect your Gifts Store in minutes. Powerful Mega Menu DisplayedShow product image, name or videos of any categories, or other info on menus to better customer shopping experience. 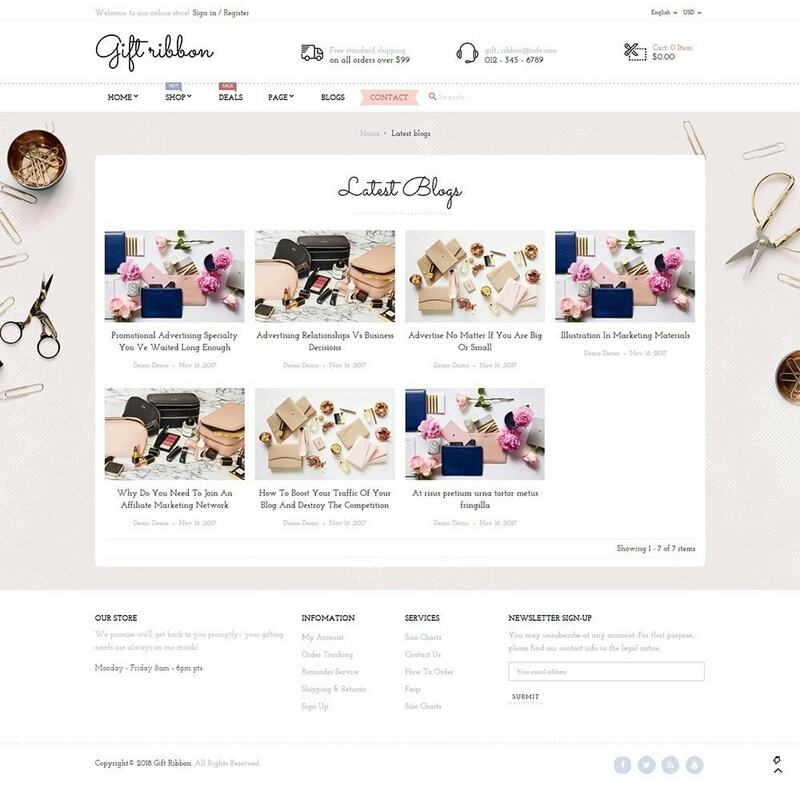 Beautiful Blog PageEngage & attract a plenty of customers for your Rich Content Blog to push up views on your store. SEO OptimizationPopulate your site more well-known and let Google Bots crawl your content and rank it on TOP Search Result. Real Testimonials ShowcaseA shortest way to persuade for your product quality and your service & increase visitors significantly. 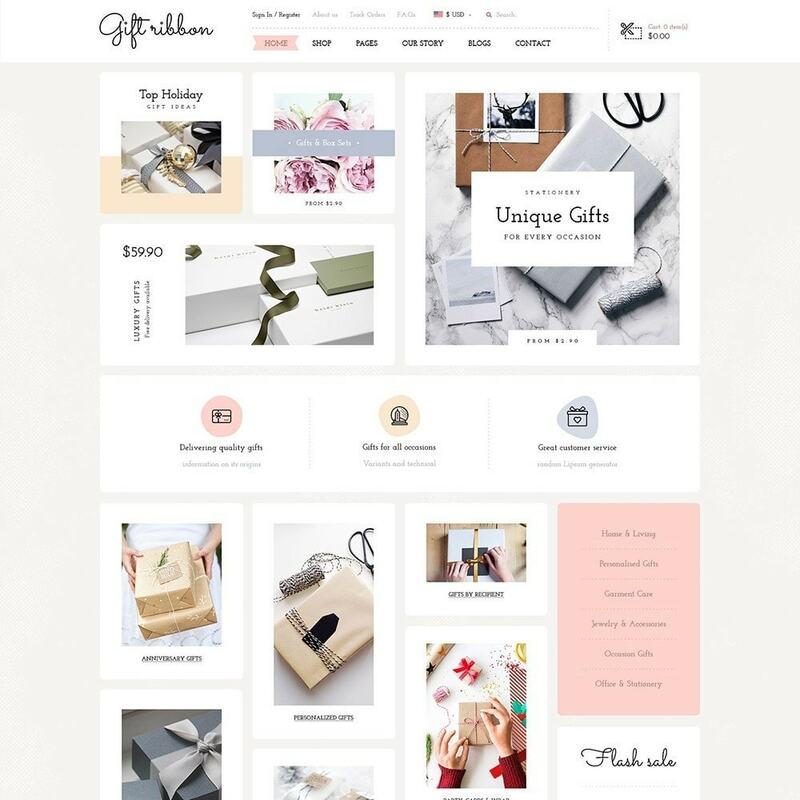 06+ Premade Elements Without code required! 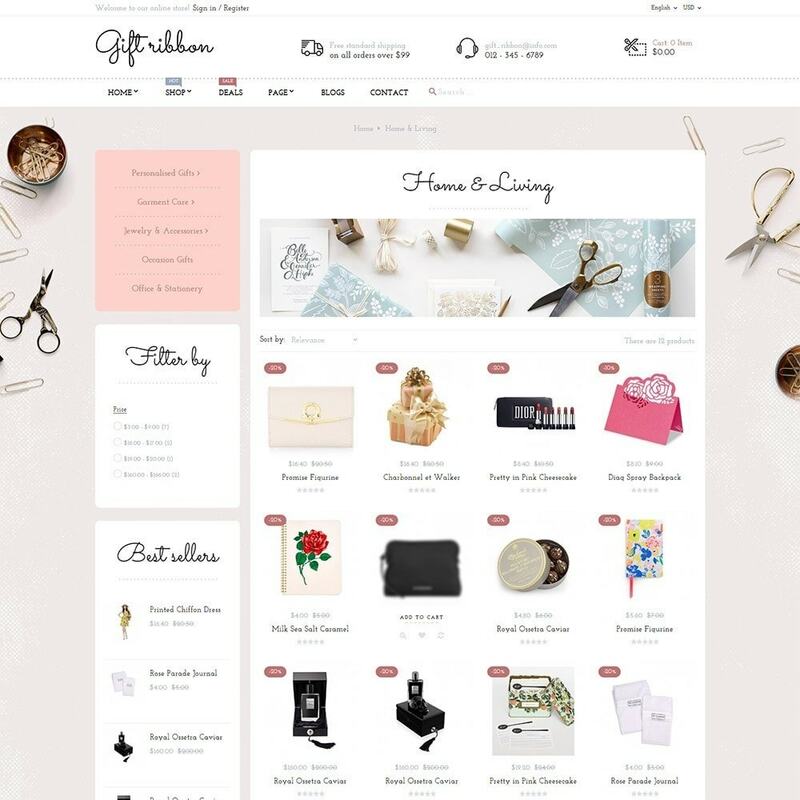 pts Ribbon supports to insert premade content in minutes to build your websites quickly. Friendly FAQ PageDisplayed popular frequently asked questions where they can find for their answers about product & service instantly.